Brynne Cogorno is back with a new Valentine-themed bracelet workshop! 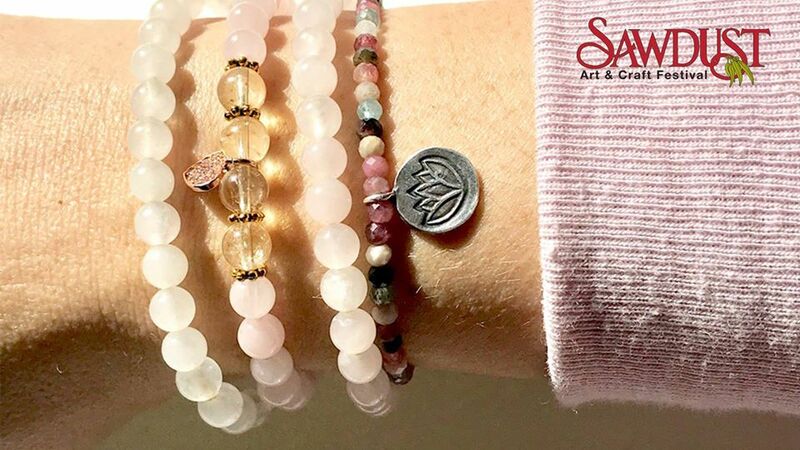 Create two beautiful gemstone bracelets with rose quartz and rhodonite which help to metaphysically promote love, self-kindness, emotional healing and reflection. Refreshments, snacks, and additional self-love will be included to celebrate this special time of year. $65, per person. All materials (and complimentary wine!) are included. Sawdust Art Classes are held year-round, on-site at the Sawdust Art Festival. For more information about our weekly classes, please visit sawdustartclasses.com.